Inside a Sears store on Route 22 in Watchung, New Jersey, a 16 foot by 10 foot mural depicting “The Legend of Watchung” was painted in 1965. 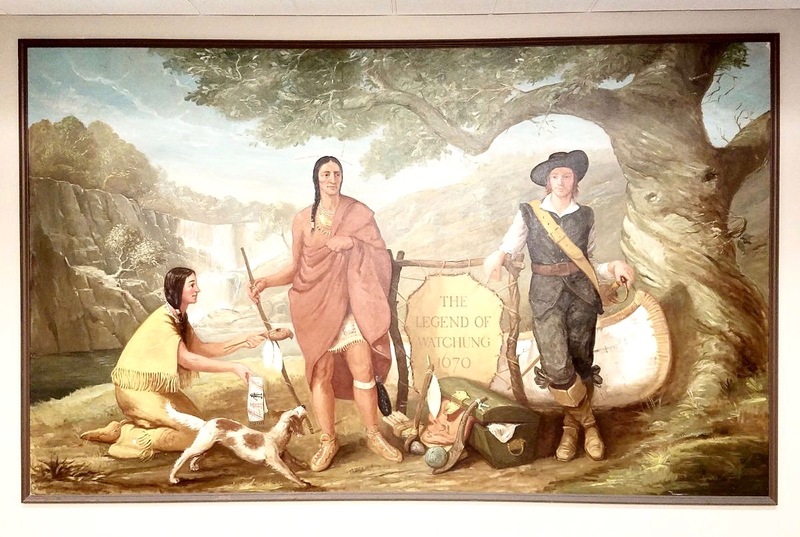 The mural depicts member of the Lenni-Lenape tribe living peacefully with Dutch settlers in a location that would later be known as Watchung. The historic mural is now in danger of being destroyed, since the Sears store that houses the mural is due to be demolished on October 1st. The Watchung Historical Committee would like to move and preserve the mural. Cost? $40,000. A GoFundMe site has been created toward this effort. People may also donate directly to the Watchung Community Foundation. Previous Previous post: Get Ready for ~ The Hunt L.E.S. ~ September 22nd!